Achieve perfectly crispy and delicious appetizers, sides, snacks and entrees with a commercial fryer. 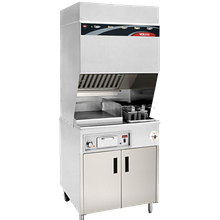 Fryers are designed to evenly cook foods by using hot peanut, canola or vegetable oils. 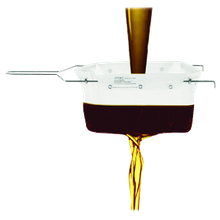 Heated coils beneath the fryer’s pots quickly and evenly heat the oil and maintain a consistent temperature for a quick recovery. 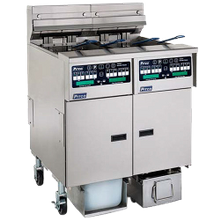 New fryer technology has evolved to reduce the amount of oil required for operation, drastically causing a reduction in oil costs. 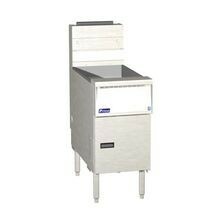 Energy Star certified deep fryer units are available to save on energy costs. 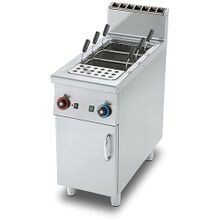 Restaurants, concession stands, bars, food trucks would get endless use out of a versatile commercial fryer. 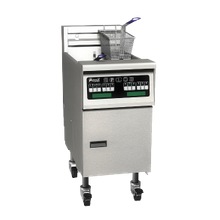 Choose from a variety of fryer types such as tube fryers for heavy frying, an open pot fryer for simple frying needs or a flat bottom fryer for battered food frying. 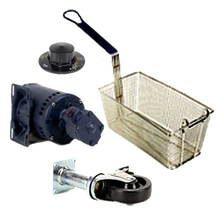 We offer a large variety of commercial deep fryers with several options in fat capacities depending on the demand of your business. 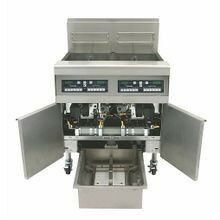 Singer stocks fryers with built-in filtration for optimum oil preservation and consistent food quality. Gas and electric models are available in countertop, drop-in, floor models to fit the footprint you desire for your establishment. 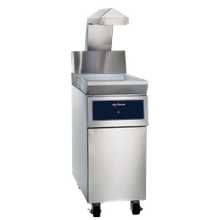 Check out our selection of commercial pasta cookers for a perfectly finished pasta, our selection of ventless fryers for the ultimate in convenience and a wide variety of specialty fryers to accommodate your unique menu options.We’ve got restaurant deep fryers available from the industries top manufacturers including Pitco, Vulcan, Southbend, Wells, Garland and many more.